Colquitt County, GA, High School junior running back Tykerious “Grump” Jones, 17, faces charges of murder and criminal intent to commit armed robbery in connection with the shooting death of 68-year-old John Hester. The incident happened on July 5, but Jones and six other co-defendants were charged in recent days. There were seven teenagers arrested with connection to the July 5 killing of 68-year-old John Hester. According to the police report, Hester was found shot outside his home in Norman Park on Georgia Highway 256 outside of Moultrie. 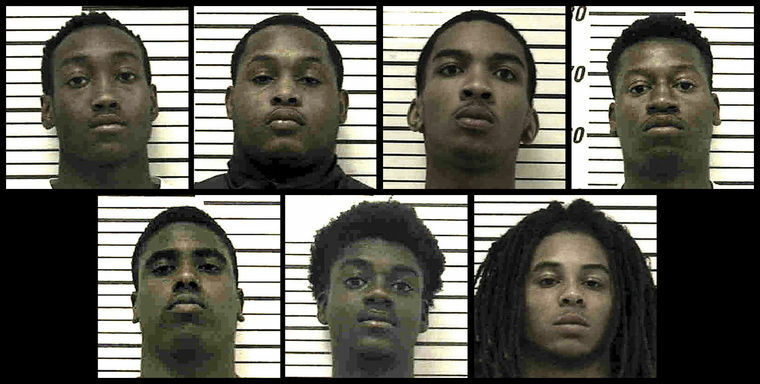 Adrian Robinson, 19; Derrick Phillips, 18; Brandon Wynn, 18; Christian Glover, 18; I-Key Pinkins, 18; and Ty’Cameron Hayes, 18, also were arrested with Jones, 17. Wynn and Pinkins were senior defensive linemen on last year’s state championship team. Bahan Rich, assistant special agent in charge, told WCTV that police investigators believed murder was not the intent when the crime was committed. The Georgia Bureau of Investigations says six of the teens stole firearms and electronics from a Norman Park Home the day of the crime. That gun, investigators believe, was used in the shooting death of Hester. Agent Rich also stated that the suspects had no ties to Mr. Hester, or his son, other than living in the Norman Park Area. He also says it appears Hester was trying to protect his son. Rich said Hester Sr. apparently fired several blasts from his shotgun, and was bleeding severely when he stumbled his way to his back door 30 to 40 yards away, and told his wife he had been shot. For more background and local reaction on this case, please see “Small Georgia town reacts strongly to teens’ slaying of elderly resident” in the Americus Times-Recorder.